Can estate agents ever get their weekends back? Can estate agents ever get their weekends back? 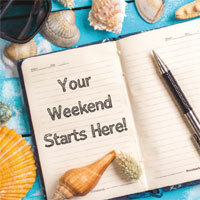 Home » Guest Blogs » Guest post: Can estate agents ever get their weekends back? Guest post: Can estate agents ever get their weekends back? Weekends – what do they mean to you? An escape from work? Ed Mead, co-founder, Viewber, muses on the changing needs of staff… and their bosses. The weekend… a chance to spend time with the family/partner, sleep or… whatever. The problem for most of us is that weekends are now almost indistinguishable from any other working day. Being an estate agent is a great life but its ‘on demand’ tentacles are reaching ever further. A recent piece written on this subject elicited a view from some agents, prevailing when I started as an estate agent in the 70s, that if someone is serious they’ll view properties when you’re open – it’s a sole agency after all. I think estate agents have held on to this for a very long time, and there’s been very little anyone could do about it. Buyers seemed to accept the status quo and sellers didn’t really know much better. However, buyers and tenants now have fresh inboxes on a Monday morning to distract them with new properties that they might well be able to view whenever they want, while sellers and landlords increasingly have a choice as to using a new breed of agent who is, or claims to be, available 24/7. Of course, when you go and see your potential seller or landlord there is an implication that anyone who wants to see the property will be able to – but are we sure that’s always the case and how do we guarantee to be able to do it? Giving staff a useful way to avoid working at the weekend and still earn commission is surely a win for everybody. As you become more senior, the chances are that you’ll start to tire of weekend working – but the number of your best-qualified buyers active at weekends is increasing. Junior negs have their own diaries to fill up and you don’t want to lose the potential fees. If you’re very lucky your firm might have a weekend viewer to take some of the pressure. The above, by the way, tends to describe Saturdays – Sundays are completely off the menu for almost all agents, always have been, and they are a wide-open goal that most agents seem to simply have a blind spot for. Fourteen per cent of the week is MIA. It should come as no surprise that some agents leverage this lifestyle choice; you only have to look at the likes of Savills and Knight Frank, who’s attraction is often not financial but is about giving staff their weekends back. I’m hearing from many bosses that the issue of weekend working is now their biggest problem in retaining staff, whether online or high street. There are other, 21st Century ways though. 62 per cent of prospective tenants and buyers said they would feel more comfortable being shown around a property by someone who wasn’t looking for a sales commission. As someone imbued in the traditional estate agent’s way of doing things, this harks right back to why I started the company and left Douglas & Gordon (D&G). Giving staff a useful way to avoid working Saturdays (and Sundays) whilst offering them a chance to still earn commission is surely a win for everyone, buyer/tenant/seller and landlord as well as the neg on the ground. Weekend staff is one answer, but often mean one person to be shared with two or three negs, and they need to be managed and often paid holiday pay etc. Some bosses have found that giving their negotiators two or three Viewber appointments per week to use when they want to, at weekends, especially if they can earn from the extra commissions generated, works better than a pay rise and is easy for them to manage and oversee. It’s not a benefit I foresaw, (often the way), but is perhaps one way in which technology really can help add to a negotiator’s life, rather than attempt to replace it.